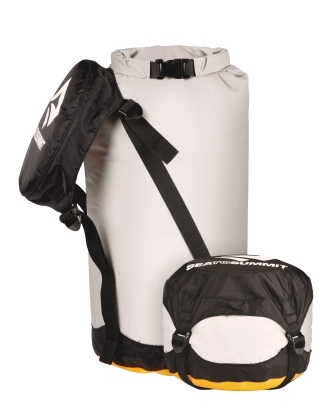 Keep your gear dry and compressed as small as possible inside your pack, watercraft, or anywhere space is an issue. 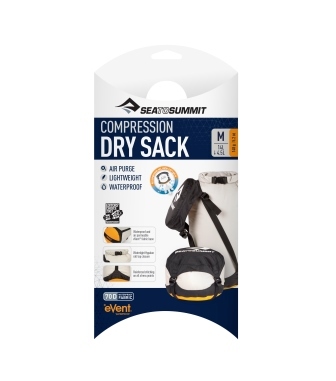 Sea to Summit were the first company to introduce a compression dry sack to the market which does not use a purge valve. This innovation uses air permeable eVent® fabric on the base, which allows air to be pushed out of the sack, while stopping water getting in. This is a lighter, simpler and more reliable solution than a purge valve. The body is made of a tough 70D Polyurethane-coated fabric. It has a Hypalon™ roll-top closure like the rest of our dry sack range and a lid with four straps for even compression.